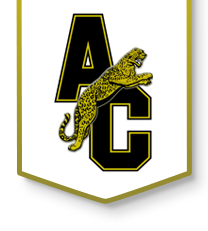 The Andover Central Booster Club is a volunteer organization of parents and community supporters of Andover Central High School. We support and encourage our students, teachers, coaches, and administrators. The Booster Club strives to support all of ACHS athletic and academic areas through all funds generated by the Booster Club. Membership drives, merchandise sales and school supply orders are a few ways ACBC raises these funds. Volunteers are vital to the success of ACBC. This is a great way to show one’s support for our community and school. If you have any questions or would like more information on joining ACBC, please click the link below. Everyone is welcome to come to the meeting held every second Wednesday of the month at 7:00 p.m in the ACHS commons.